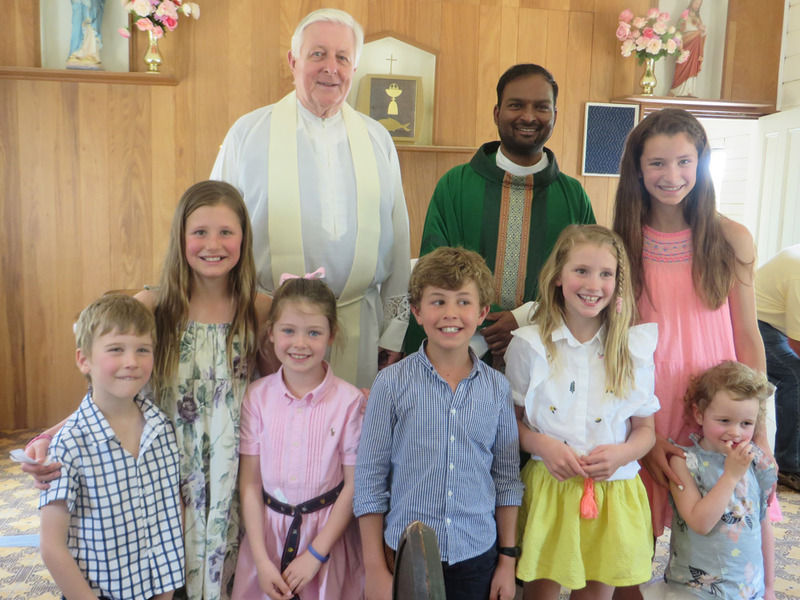 Photo: Father Bernie Hennessy and Father Joshy Kurien, Jimmy Last, Mabel Meckiff, Phoebe Bassingthwaighte, Tom Bassingthwaighte, Violet Meckiff, Polly Meckiff and Emme Last (little girl in front). All the children are descendants of the Last family of Muttama. Parishioners and visitors gathered at the Immaculate Conception Church at Muttama on Sunday October 28, 2018 for a final Mass. The Mass was concelebrated by Father Joshy Kurien, the Parish Priest of the Sacred Heart Parish, Cootamundra and Father Bernie Hennessy who was Parish Priest from 1998 to 2005. Father Kevin Barry Cotter, Parish Priest from 2005 to 2013 was unable to attend the Mass due to his priestly commitments in Adelong. The Immaculate Conception Church, built of ‘wood and iron’ by Father Butler, was opened in March 1902 by Bishop Lanigan. 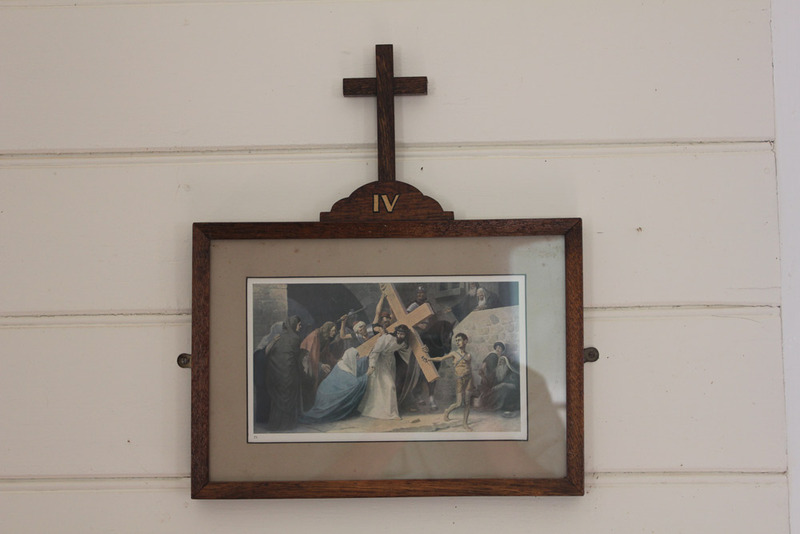 Until recent years, Mass was celebrated in the small church on a monthly basis. 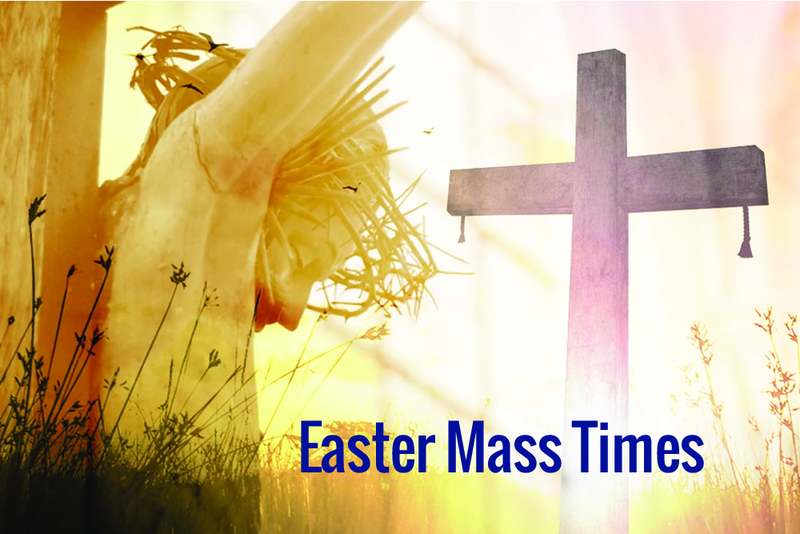 However, with the decline in congregation and the shortage of priests, Masses were no longer possible. 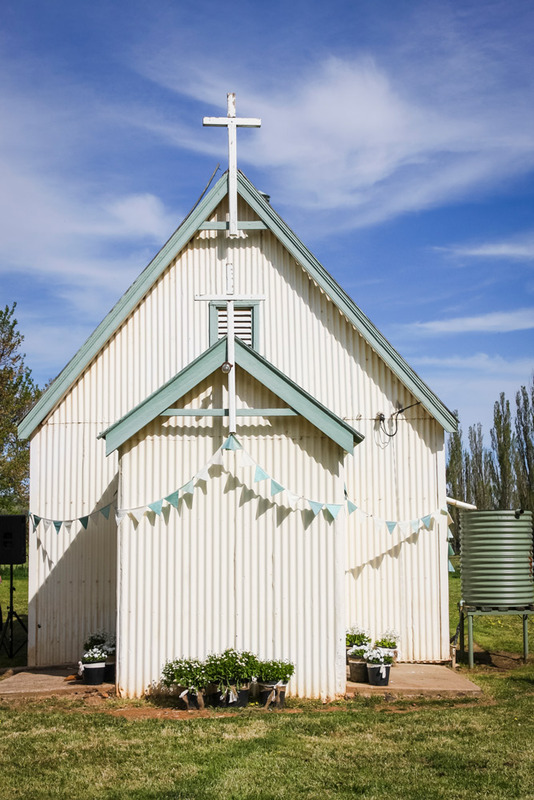 Over the years, a number of baptisms, weddings and funerals have taken place in the church. The final Mass was also the occasion of Zoe Joenne and Abigail Samantha Last’s baptisms. Following the Mass a community luncheon was enjoyed in the church grounds. Although a sad day for many of the congregation, it was a memorable event and a chance to reminisce. 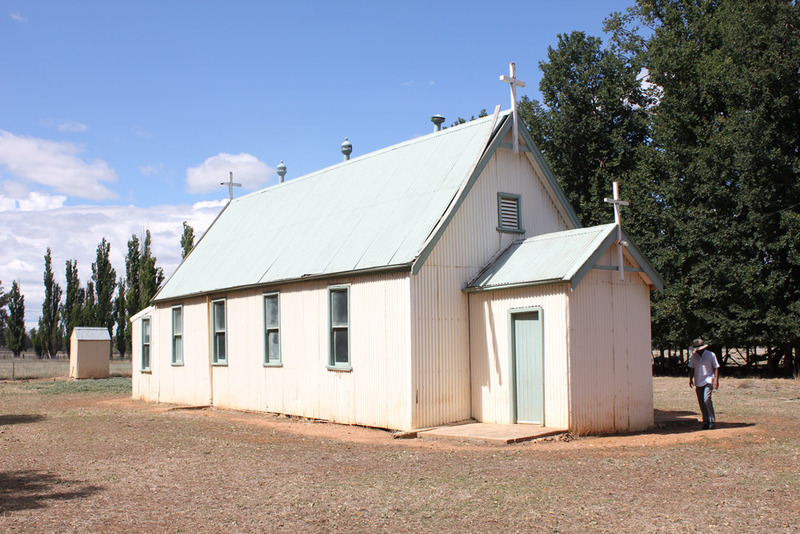 The Catholic Archdiocese of Canberra Goulburn trustees will determine the selling of the Immaculate Conception Church at Muttama. This is very sad. We are losing our history. 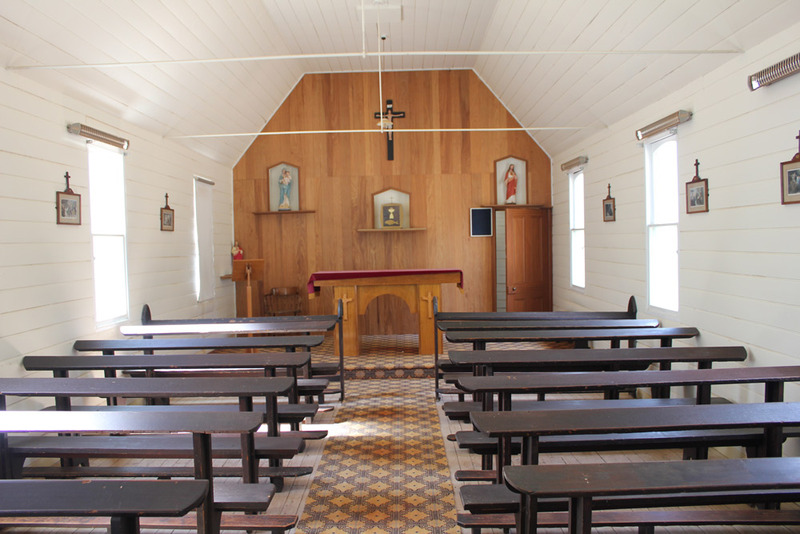 Our forebears made very great sacrifices to establish the early church in this area.We have seen the closure of the Mercy Convent in Cootamundra in recent weeks. Sadly the Church beset by scandal in recent years, seems to have lost its way. Our young ones are leaving as they don’t see the relevance of the Church as a community of faith in their lives. 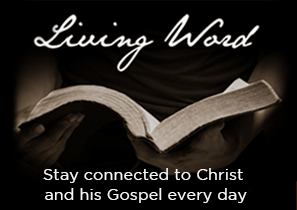 We really must discern what the Lord is asking of us with urgency. Hi Gavin. It is sad when places close, particularly places we are fond of. With church closures, I guess it comes down to a couple of main factors… patronage and the ability to staff it. 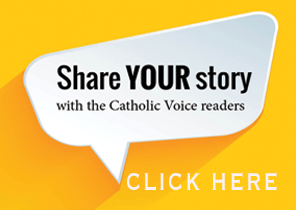 The second factor is probably the easiest to fix… if sufficient numbers start attending a Church then the Archdiocese would try to find ways to allocate priests there. But if numbers dwindle below a certain point, given the distances priests often need to travel, it becomes harder to assign a priest, especially as their presence is already in high demand. You also make a point about young ones leaving the Church. There is a trend away from Church attendance in many faiths and many areas of the world, and this includes young people. But in our Archdiocese, we are fortunate to have a very strong Youth Ministry program that has been very active and successful in reaching out to young Catholics and helping them find a place in the Church. It’s a work in progress, but the progress has been quite encouraging.